CAPE CANAVERAL, Florida – Following the successful launch of a communications satellite on May 11, 2018 from the Kennedy Space Center SLC-39A SpaceX will launch another communications satellite from Florida on May 31, 2018 this time from the nearby SLC-40 of the Cape Canaveral Air Force Station. The customer is SES, a huge European communications group. If everything goes as planned, this will be SpaceX's sixth launch of an SES satellite. According to the World Teleport Association (WTA), SES is the second largest (by revenue) communications satellite owner / operator in the world, surpassed only by Intelsat, SA Established in 1985 and headquartered in Luxembourg, SES operates more than 50 satellites in geostationary orbits and another 16 satellites in medium-earth orbit. These spacecraft serve broadcasters, Internet service providers, mobile and fixed operators, governments and institutions in North America, Latin America, Europe, Africa, the Middle East and the Asia-Pacific region. Forty-three SES communications satellites are parked in geostationary orbits about 35,000 kilometers above the equator, from 177 degrees west (NSS-9) to 176 degrees east (NSS-11). 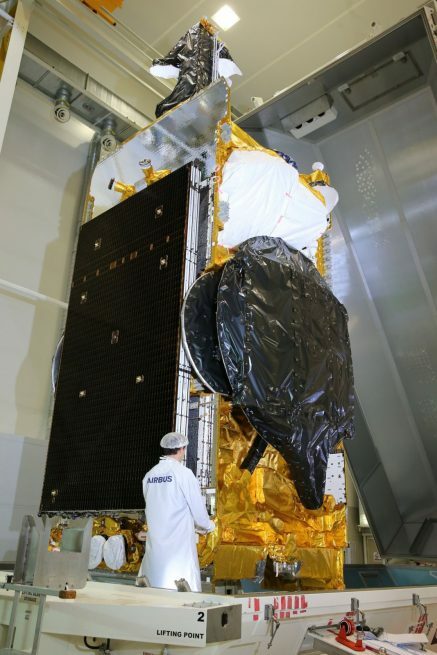 Airbus, a multinational European company that develops, manufactures and sells civil and military aerospace products worldwide, built the SES-12 satellite. In addition to earth satellites and other space related equipment, Airbus also produces commercial aircraft, helicopters and military fixed wing aircraft. In fact, Airbus has delivered nearly 11,000 aircraft to commercial airlines and 12,000 helicopters to various customers. Airbus has manufactured more than 100 communications satellites worldwide for a variety of customers and is the largest manufacturer of earth observation systems with more. So far, 50 satellites have been launched and another 18 are currently under construction. SES-12 will have a double mission. It will replace the NSS-6 satellite in orbit and provide television and telecommunications infrastructure services from one end of Asia to the other, with beams adapted for six coverage areas. It will also have a flexible multi-beam processed payload to provide broadband services covering a large area spanning Africa, Russia, Japan and Australia. SES-12 is designed to work in the Ku and Ka bands with a total of 76 active transponders, and will be equipped with eight antennas. It will have a takeoff weight of 11,685 pounds (5,300 kg), the largest SES satellite to date, and an electrical output of approximately 19 kW. Its electric propulsion system should enable it to reach its geostationary orbit in three to six months. Its nominal operating position will be 95 ° C and it is designed to remain in orbit for approximately 18 years. According to SES, the SES-12 satellite should expand SES capabilities to provide direct-to-home (DTH) broadcasting, VSAT, mobility and high throughput satellite (HTS) data connectivity in the Middle East and in the Asia-Pacific region, including fast-growing markets such as India and Indonesia. Once it arrives at its intended destination, the NSS-6 satellite will replace it at this location and be co-located with SES-8. SES-12 is able to support the requirements in several sectors from Cyprus in the west to Japan in the east and from Russia in the north to Australia in the south. SES-12 will park about 22,000 miles (35,406 kilometers) over the Indian Ocean, directly above the equator, about 500 miles (805 kilometers) west on the easternmost land mass of Indonesia. For reference only, the altitude of SES-12 will be about 100 times farther from Earth than the International Space Station (ISS). The satellite is supposed to be launched on the block 4 variant of the Falcon 9 "full-thrust" rocket. If everything goes as planned, this will be the 11th Flight of Block 4, which was first flown on 14 August 2017 for the mission CRS-12 to the ISS. The outdated first-stage B1040 booster was previously flown on the Boeing X-37B OTV-5 mission, launched on September 7, 2017, almost nine months earlier. 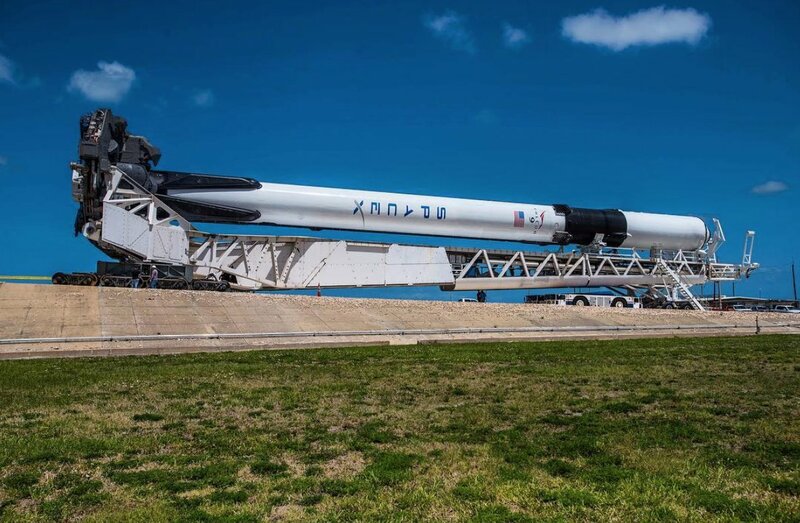 SpaceX is reportedly not planning to get this booster in line with its obvious strategy of limiting Block 4 and earlier booster flights to two. In contrast, SpaceX, as unveiled by Elon Musk in his May 10, 2018 teleconference, is planning block 5 boosters (first flown on May 11, 2018, Bangabandhu 1 mission) ten times before a major refurbishment. 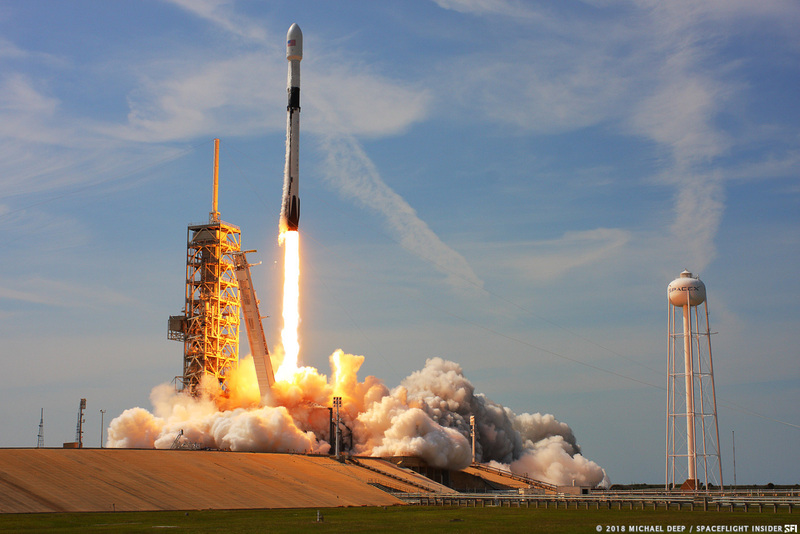 The Next SpaceX Launches From Cape Canaveral Air Force Station SLC-40 are currently: CRS-15 – a replenishment mission to the International Space Station (June 28) and Telestar 19V (expected to fly at the end of June). Jim Siegel comes from a business and engineering background, as well as a journalist. He has a degree in engineering from Purdue University, an MBA from the University of Michigan, and executive certifications from Northwestern University and Duke University. Jim was interested in journalism in 2002. As a resident of Celebration, Florida, Disney's planned community outside of Orlando, he has written and performed extensively for the Celebration Independent and Celebration News. He has also written for the Detroit News, the Indianapolis Star, and the Northwest Indiana Times (where he began his newspaper career as a paperboy at the age of 11). Jim is known for his photography at Celebration and he has recently published a book of his favorite Celebration scenes. Jim has covered the Kennedy Space Center since 2006. His experience has brought a unique perspective to his coverage of the Space Shuttle program and now the post-shuttle era as the US space industry accelerates its reliance on commercial companies. He specializes in turning the often very technical aspects of the space program into contexts that average Americans can understand and appreciate.